The tradition of “spring cleaning” has many different roots. For example, in the Iranian and Chinese traditions, spring cleaning is often associated with the new year, symbolizing the process of renewal. However, for those living in colder climates, when the long, dark days of winter fold into sunnier days — the dust that has collected over the past season begins to rear its head. And with it, luckily, some energy to clean. Spring cleaning shouldn’t be restricted to the homestead. Businesses can learn a lot from this practice, especially when it comes to their online presence. You might have switched over your inventory, planned Easter and Mother’s Day sales, washed the floors and dusted the ceilings. But have you paid attention to the most important space of all… your listings? Online listings, at the most basic level, are best understood as an “open sign” for the online crowd. Considering the fact that 81% of people search for a store before they visit, making sure your local listings are squeaky-clean is just as — if not more — important as your shiny new inventory. After all, how will a consumer buy a product from your beautiful Spring collection if they don’t even see your store? A problem that businesses encounter in their local listings is the management of “duplicates.” Think of duplicates like dust: they emerge out of nowhere, it’s hard to see them coming, and they won’t go anywhere until you deal with them. Duplicates, in short, are listings that emerge on various search and directory sites, usually without your control. They often house incorrect data and outdated information, which has a massive effect on your ranking and therefore dims the bright “OPEN!” sign you need to encourage people to come and check out that oh-so-dreamy product. Nearly three quarters of web users say that incorrect business information can make them lose trust in a local business. Too many inaccurate listings means you’ll never know which listing is populating which directory. As mentioned, duplicates often have incorrect data about your location and hours, in effect confusing your potential consumer. So, you got a 5-star review. Well done! But this review happens to be featured on your listing with your old NAP data. Now what happens? Not only does this likely affect your business’ star rating per listing, having equity split among duplicate listings means some will display lower ratings, some will display higher ratings, and worst of all, this could have a huge impact on your SEO ranking on each directory. Don’t you want the 5-star review to be featured on the listing with your correct information? Better yet, don’t you want ALL of your 5-star reviews in one place to boost your overall rating? Yes, you do! Goodbye nasty duplicates. Google doesn’t like mixed signals; Google’s algorithms, as we know, are pretty sophisticated. If your business is giving The Big Search Engine mixed data, chances are they will steer clear from displaying your listing — as they don’t want to serve their valuable 3.5 billion searchers per day any incorrect information. Ensuring your business listing appears for all “near me” searches to capitalize on ultra-valuable micro moments is key to driving success. The longer you leave inaccurate listings out in the Internet’s abyss, the harder it will be to manage the clean up. If you get a head start on your cleaning session right away, and you ensure all of your listings management is concentrated in one safe place, the better off your business will be. The tricky part? It only takes one inaccurate listing to wreak havoc on your ranking. 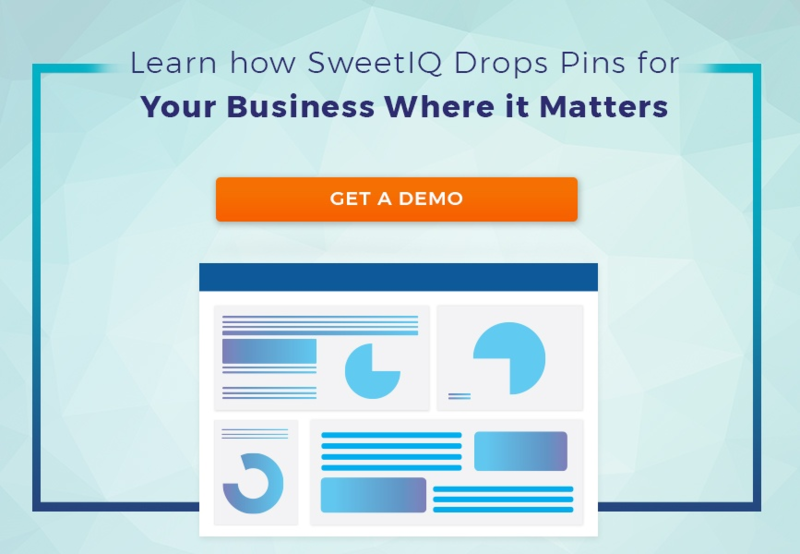 Have SweetIQ ensure your listings are squeaky-clean. Don’t let the dust settle too long.